Federal Bank Recruitment 2015: Now the Federal Bank is released the notification for recruitment of Clerk post in various branches some of states in India. The online registration is start from 23rd February 2015. Candidates those who applicable and interested can fill the online application and apply for the Federal Bank Clerk recruitment 2015. Candidates will be selected based on the performance in the test and personal interview. The application fee for general candidates is 500/- and for SC/ST candidates 200/-. To know the more latest details like our social media page. The other details such as education qualification, selection mode, syllabus, exam pattern, application start date, registration closing date, test date etc is given below. Candidates completed graduation with minimum 55% marks in science and minimum 50% in other subjects from any recognized university. Candidates more than 24 year on 01.11.2014 and should be born on or after 01.11.1990. The selection will be based on Aptitude test, Group discussion and personal interview mode. First aptitude test will be conducted based on number of candidates. After that selected candidates shortlisted for second phase of interview. Candidates from below states are eligible to apply for this clerk post. 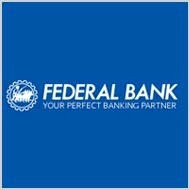 Step 1: First go to official website www.federalbank.co.in. Step 2: Then click the Careers and click Recruitment process for the post of Clerk link. Step 3: After that Apply Now button and enter all required details asked in the online application. Step 4: Pay the payment fee by downloading challan or online mode. Step 5: Finally take the print out of online registration form which to be submitted at the time of online aptitude test.